But just the little things we put into will become our place into our HOME. These place mats are one of those little things, there is a different texture for each style… and as a friend told me yesterday, plates are so so charming !! 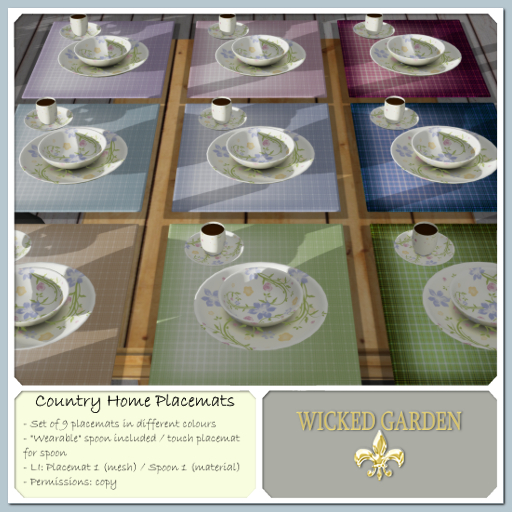 This entry was posted on Friday, September 12th, 2014 at 2:54 pm	and posted in *Wicked Garden*, Latest Release. You can follow any responses to this entry through the RSS 2.0 feed.